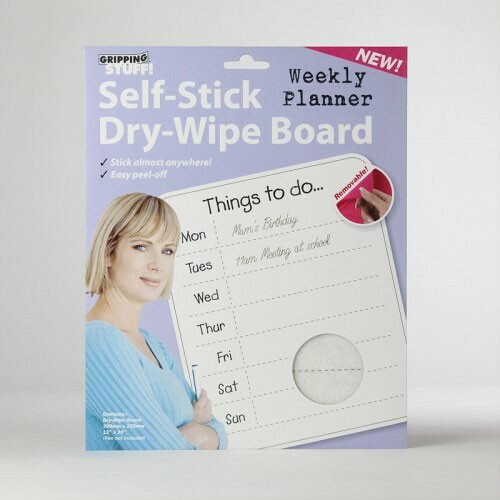 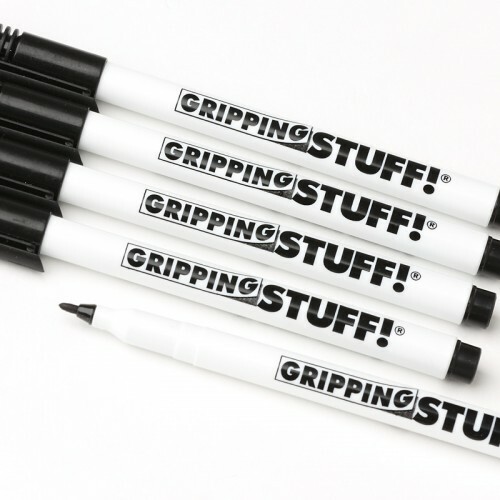 Gripping Stuff ‘stick almost anywhere’ dry-wipe monthly planner – sticks straight to your wall or door or just about anywhere you want it in seconds… no screws, no mess, no waiting and no holes in your walls! 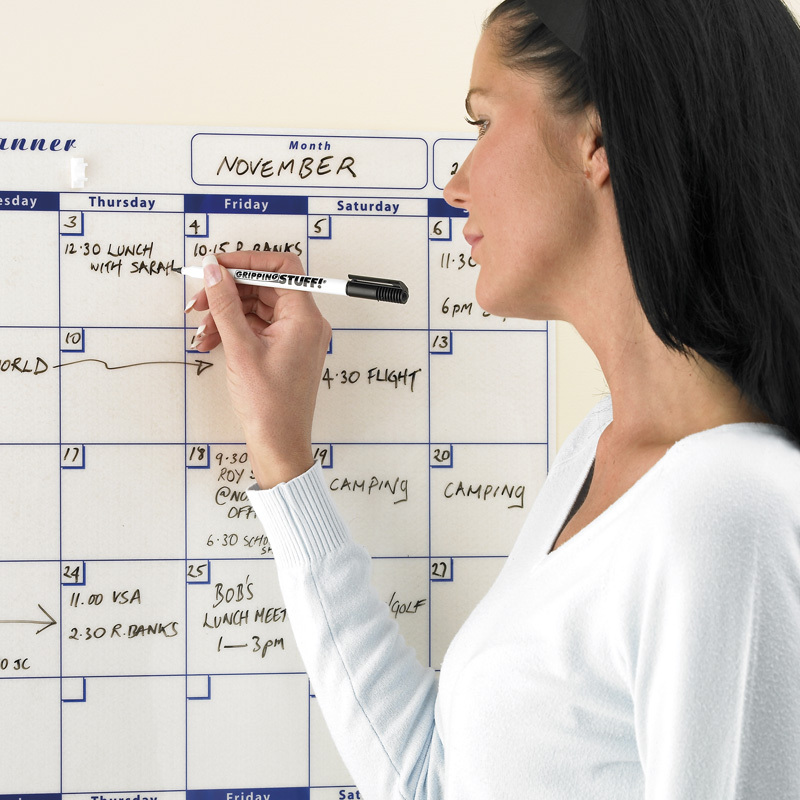 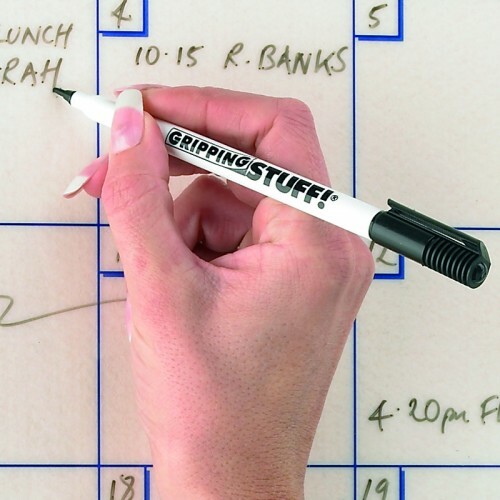 The Gripping Stuff Dry-Wipe Monthly Planner comes with a free dry-erase pen and holder. 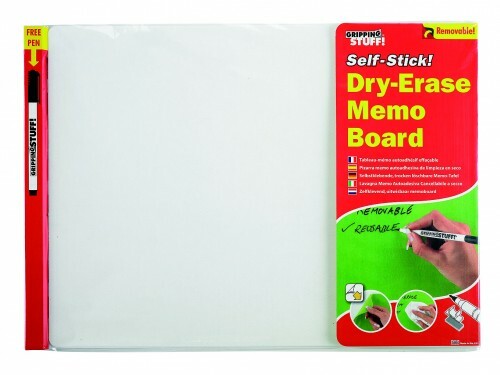 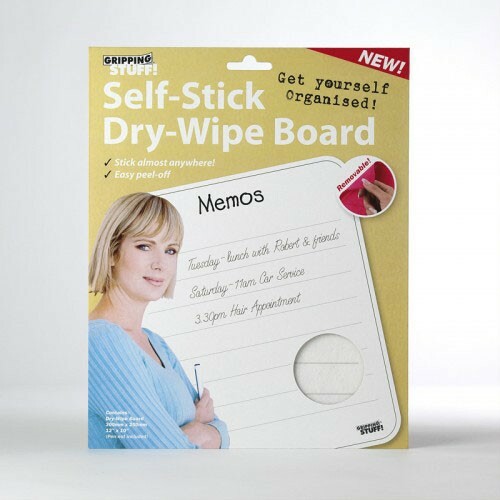 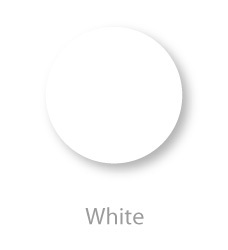 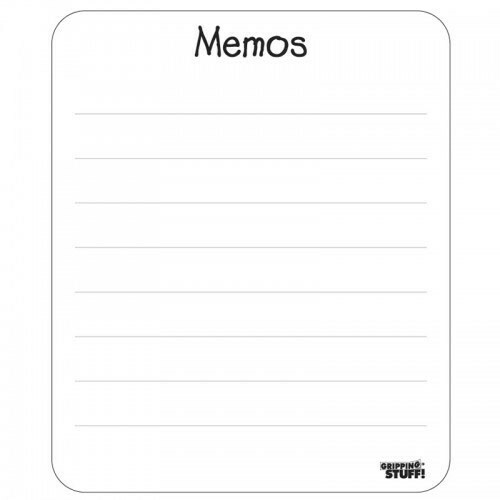 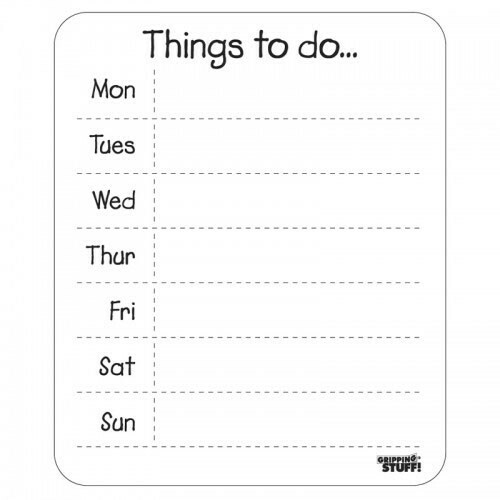 A clever and useful organiser that you can stick in places no ordinary dry-erase board can go.